1. 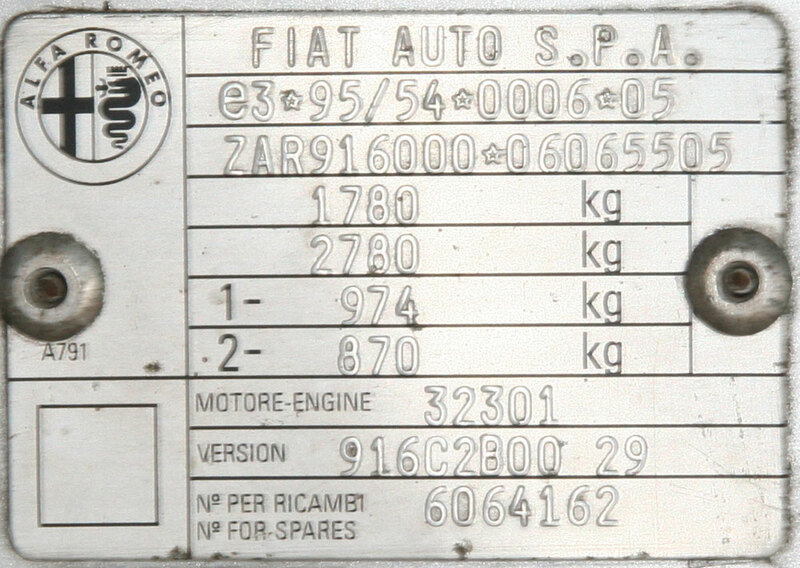 FIAT AUTO S.P.A. (name of manufacturer). 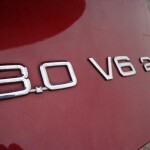 Cars imported by Ateco Automotive Pty. Ltd.
3. 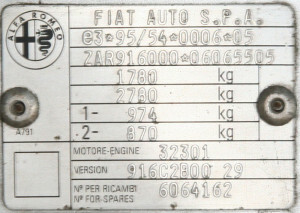 Progressive chassis number is ZAR91600006000001 (or ZAR916000W) and ZAR91600007000001. 4. Maximum authorized weight of vehicle fully laden. 5. Maximum authorized weight of vehicle fully laden plus tow. 6. Maximum authorized weight on front axle. 7. Maximum authorized weight on rear axle. 8. Engine code (see below). 9. Version code (see below). 10. N. for spares (vehicle n.).